2013 has been a great year for QuiBids. We implemented updates to the bidding experience, like when we added the locking mechanism to auctions, or when we updated the Voucher Bid win limits to give more people more chances to win. Plus, QuiBidders loved when we hosted special free-to-bid auction events, like the month of Gameplays, the PS4 Bundles, and even a NEW CAR! What’s more important to us, however, is how our customers experienced the site in 2013. We saw great deals consistently being won on a daily basis. We picked out a few of the more memorable wins this year and ranked them below. 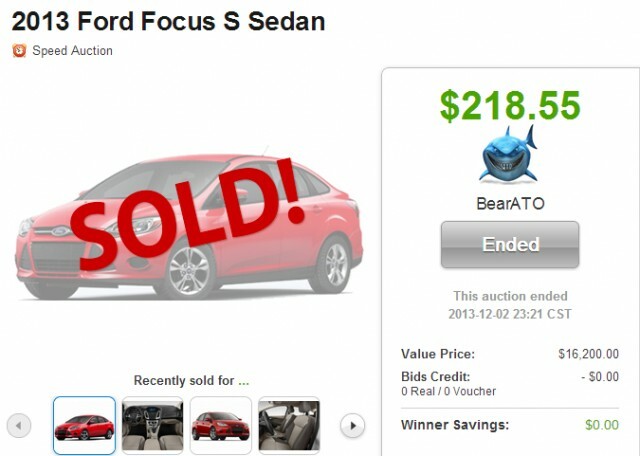 On Cyber Monday this year, we let QuiBidders bid on a brand new 2013 Ford Focus for FREE! We covered the ending price as well. So when we say this car was free, we’re not joking. 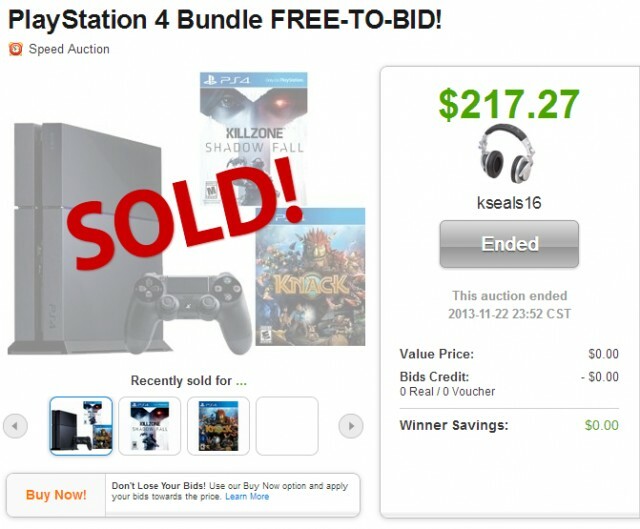 During the week leading up to Black Friday, we hosted several free-to-bid PlayStation 4 Bundles. 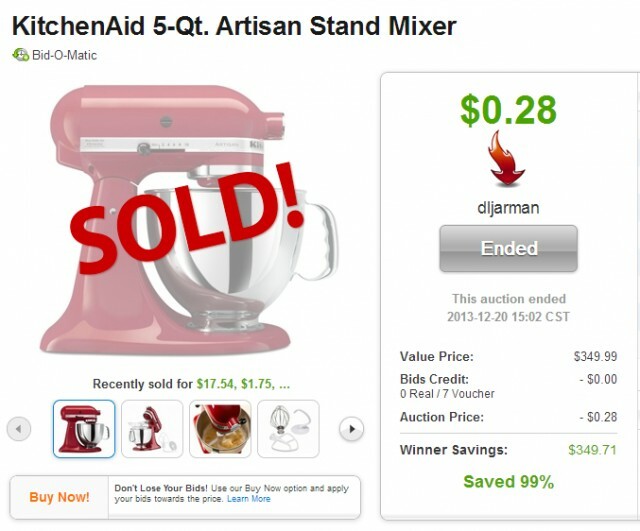 Kudos to those lucky QuiBidder kseals16, who was able to snag this one for free! 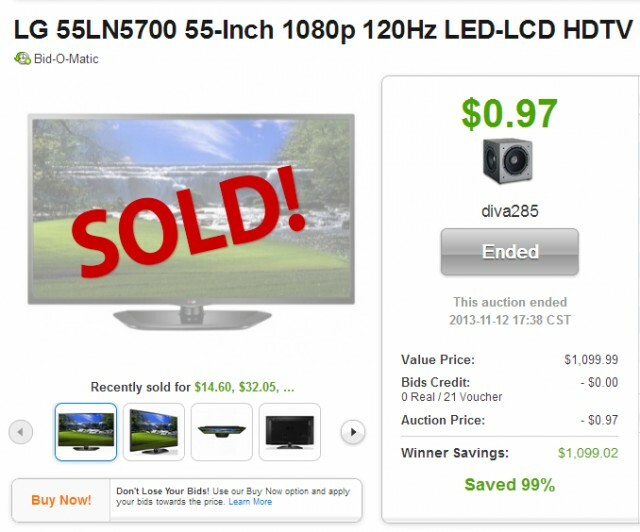 QuiBidder diva285 used only Voucher Bids to win this awesome TV, so she only had to pay the ending price, which ended up being less than a dollar for a TV that’s valued at almost $1100.00! 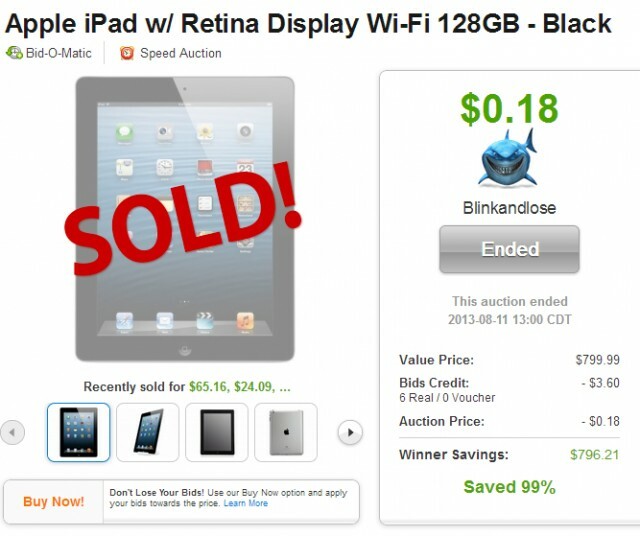 An iPad selling for $0.18 is a great deal on any day, but this one is special because it can hold 128GB of memory! We put Omaha Steaks product on our site this year, and boy have QuiBidders loved saving money on these high quality meat and dinners. 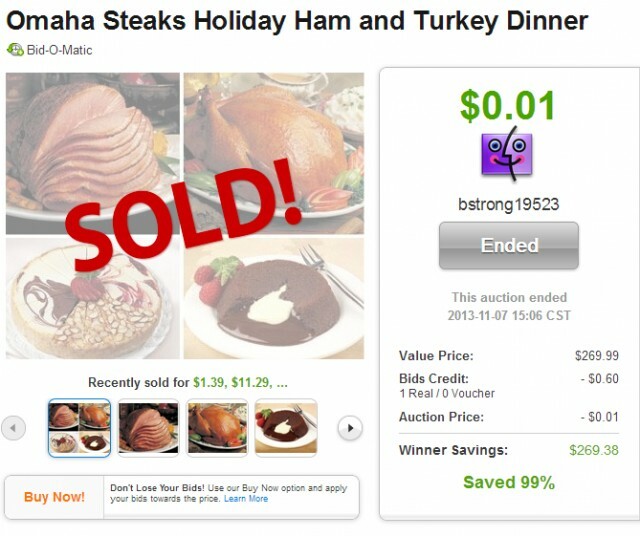 Let’s just say that we saw Omaha Steaks auctions ending at unbelievably low prices on a fairly consistent basis. 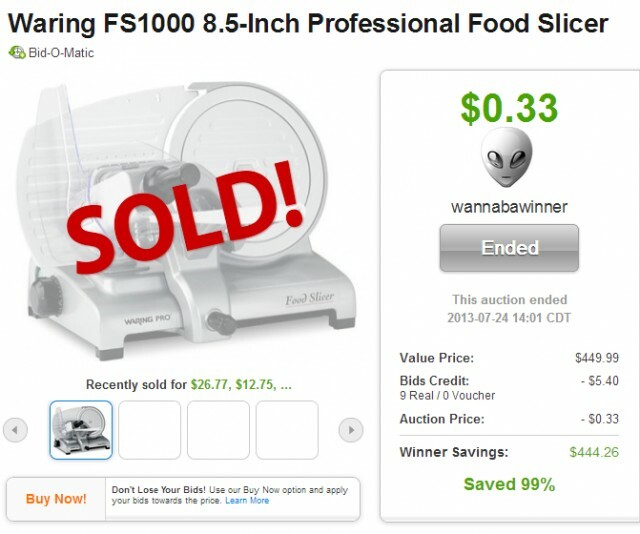 Not only did QuiBidder wannabawinner save over $400 on this meat slicer, but they also will be saving money by no longer needing to go to the butcher for sliced meat. 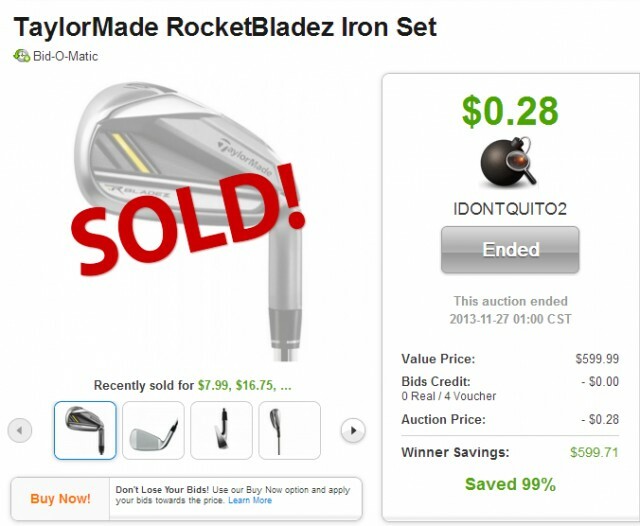 Golfers will understand how unbelievable of a deal this is. There’s only one word for a deal like this: Epic. 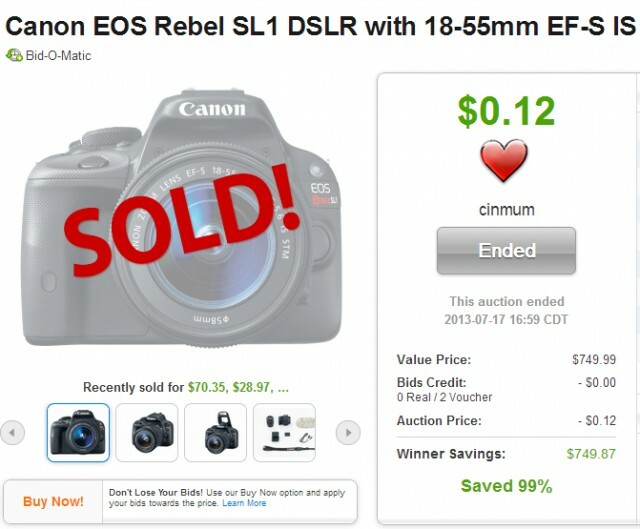 This auction was won on December 20, so that means someone got an awesome Christmas present! 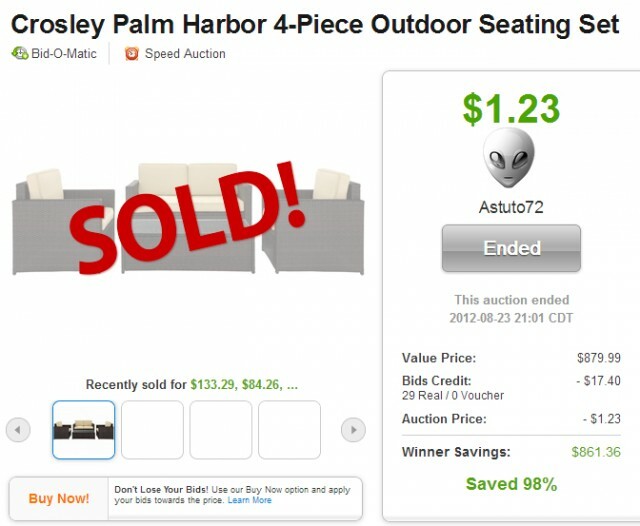 You can’t complain about saving 98% on patio furniture! That’s our list of most memorable QuiBids wins from 2013. What was your best QuiBids win this past year? Tell us in the comments below! Click HERE to start bidding on QuiBids!